Hi, I’m back! Well, I’ve actually been home though the blog has been quiet. I was just having a little break and chilled out catching up with reading, studying, cleaning, did a cleanse and met with friends. Those kind of breaks do wonders, don’t they? I got lots of new ideas and I’m getting inspired from Summer vibes that are very much getting here as the days are just getting hotter. Ricotta I used in this recipe was 5% fat, though you can make them with any ricotta you got. In the heat the pops are melting quick so you can’t do long photo shoots without melting bits (check my Instagram) – just grab the stick and enjoy! 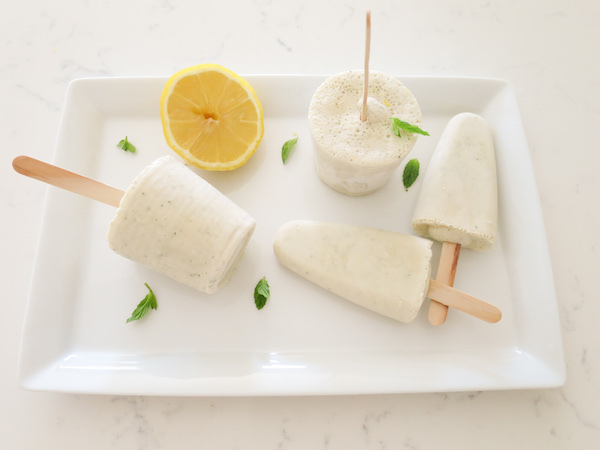 Refreshing frozen lemon and mint flavoured ricotta pops. 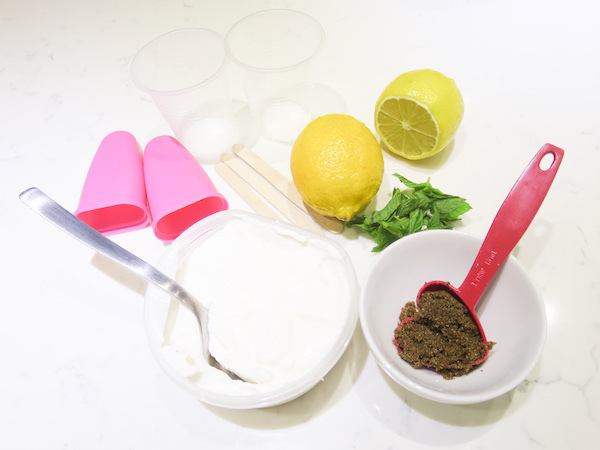 Get the ingredients ready and choose the moulds and popsicle sticks you are going to use. Depending on the size of your mould this recipe makes 4-6 pops. Place lemon juice and the grated zest, brown sugar and mint leaves in blender or food processor and pulse for few seconds. 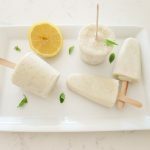 Add the ricotta cheese and give it a quick pulse to mix it in, then pour into popsicle moulds and insert sticks or pour into plastic cups and pop them in the freezer for an hour before inserting the popsicle sticks. 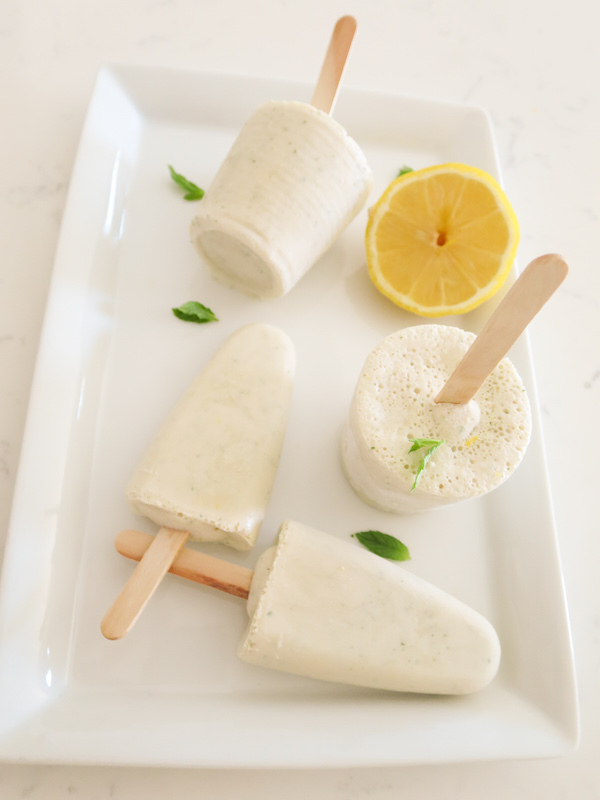 Keep in freezer for at least 2-3 hours before removing from the mould and enjoy your refreshing treat!